Instagram is commonly used among businesses for many purposes. However, this “building audience” and “connecting customers” actions didn't give that many insights on the campaign performance. Instagram, a Facebook owned company, knew that the Instagram experience had to be enhanced. The first thing was to stand out. Every business needs to stand out in order to have a competitive advantage among its competitors and build audience. Secondly, businesses needed more insights, and they were right too. Getting to know better your customers is one of the best outcomes of using digital marketing. So they can find new customers. For these reasons, Instagram announced a new tool launch for its business users. The context of this feature is analytics. Moreover, business profiles are now able to create their ads from their posts directly. WHY SETTING UP A BUSINESS PROFILE? First of all, if you are a business, why not? It is for free and you can be recognizable as a business on Instagram. The best advantage is that you can choose how your customers to get in touch with you. Your options will be calling, texting or email via the contact button, which also includes the directions to your office. The must have is holding a Facebook Page for your business. The reason is that it is easier for them to recognize your payment credentials and your digital presence (your webpage) and your contact information. The “Contact” button will appear next to the “Following-Follow” button in the profile information section. Once you click the “Contact” button, users will be able to et in touch with the company via “email”, “call”, or “text” options and “get directions” of the company. 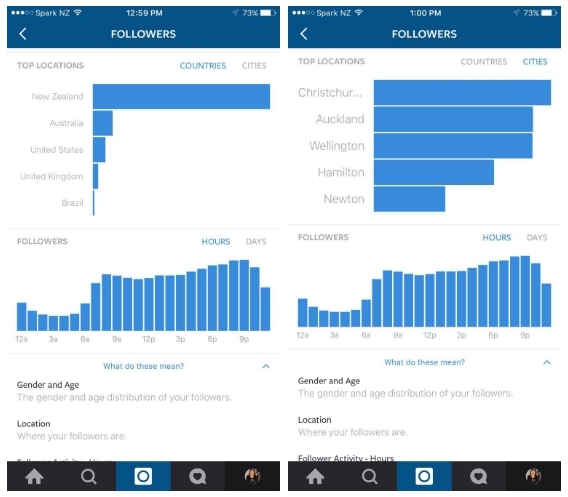 Instagram will now give insights within the mobile app for businesses. They need actionable information to get accurate information about their audience. Thus, more relevant and timely content will be out. Top posts, impressions, engagement and demographic information will be featured on mobile. This is very important to get to know the target audience. Reach and engagement will be maximized if businesses can read the insight data well. However it is difficult. Only checking the location and targeting those locations won’t work. 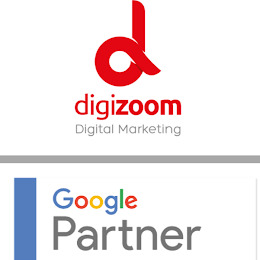 You need to work with an agency that is very experienced like Digizoom. You can turn best ads in terms of performance into ads. Thus, you will be reaching more customers by creating ads right within your Instagram business. 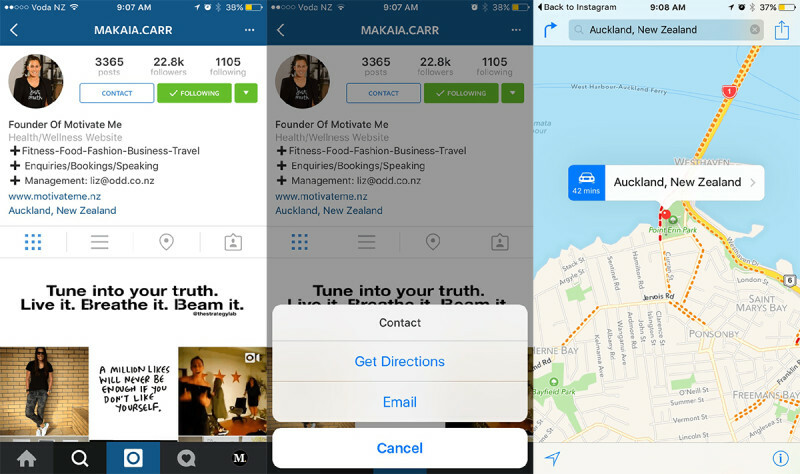 You can also leave the targeting action to Instagram, then, it will suggest you a targeting and the only thing you have to do is accepting it. 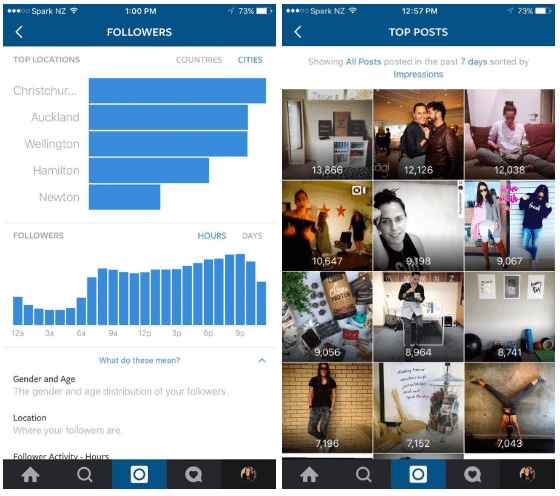 These features made Instagram even more profitable for businesses. You only have to know how to use it on the right people. We would love to create Instagram ads for your business to promote your ads so that you can enjoy leading sales with Digizoom expertise. Click here to be forwarded to the Instagram Ads form and get started with a Google certified agency!